Visitors to Versailles, an exhibition and book organized jointly by The Metropolitan Museum of Art and the Chateau de Versailles, will turn the spotlight on those visitors who came from around the world from the late 17th century to the French Revolution. With portraits and sculptures, Court attire, travel guides, tapestries, Sevres and Meissen porcelain, display weapons and snuffboxes, the exhibition will reveal what visitors discovered upon arriving at Versailles, the sort of welcome awaiting them, what they saw and their impressions, the gifts or memories they left with. April 9 - July 29 2018, The Metropolitan Museum of Art. 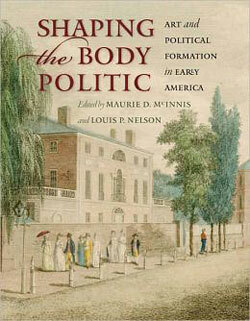 Shaping the Body Politic: Art and Political Formation in Early America ranges in topic from national politics to the politics of national identity, and from presidential portraits to the architectures of the ordinary. Paul Staiti, Maurie McInnis, and Roger Stein offer new readings of canonical presidential images and spaces: Gilbert Stuart’s Lansdowne portrait of Washington, Jean-Antoine Houdon’s George Washington, and Thomas Jefferson’s Monticello. In essays that engage print and painting, portraiture and landscape, Wendy Bellion, David Steinberg, and John Crowley explore the formation of national identity. The volume’s concluding essays, by Susan Rather and Bernard Herman, examine the politics of the everyday. 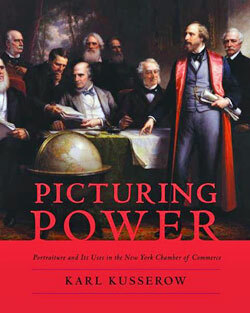 Picturing Power: Portraiture and Its Uses in the New York Chamber of Commerce features almost three hundred portraits that once composed the New York Chamber of Commerce's renowned collection. 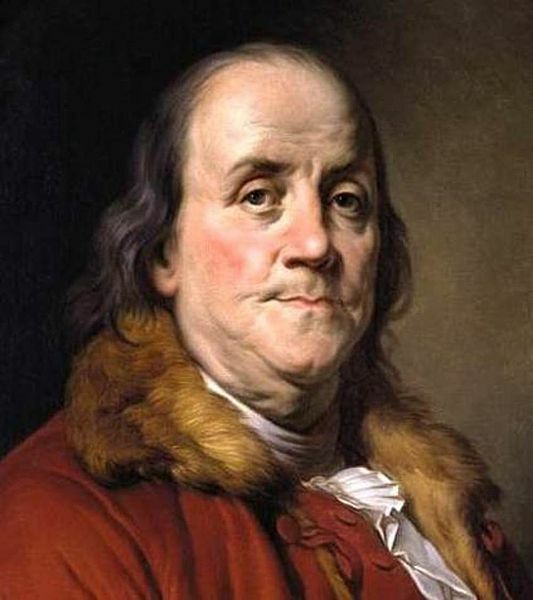 Together they capture the giants of American business with aesthetic purpose and symbolic power. The images of civic leaders and entrepreneurs, carefully assembled over two hundred years, tell the story of American industry as shaped and reflected in the life of a major institution. American Artists and the Louvre explores the origins of the artistic exchanges between France and the United States from the 18th century onward, and sheds new light on the museum's long-time role as an academy for artists from America. Accompanies the exhibition at the Musée du Louvre. 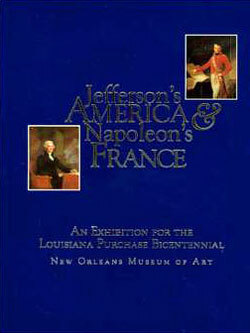 Published on the occasion of the bicentennial of the Louisiana Purchase, Jefferson's America and Napoleon's France explores the cultural politics and special relationship between France and America through paintings, sculptures, prints and drawings, documents, furniture, and decorative arts. Accompanies the exhibition at the New Orleans Museum of Art. 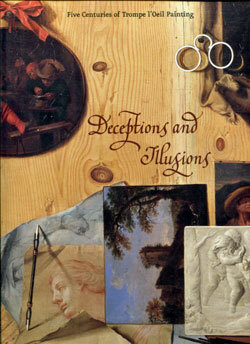 Deceptions and Illusions: Five Centuries of Trompe l’Oeil investigates the art of trompe l'oeil in more than 100 European and American paintings ranging in date from the 15th through the 20th centuries. Five enlightening essays by experts in European and American art and the science of seeing examine the phenomenon and persistence of trompe l'oeil over the centuries. 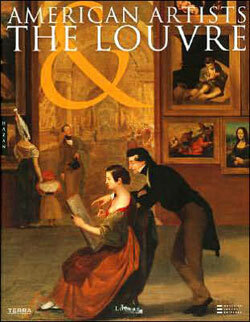 Accompanies the exhibition organized by the National Gallery of Art. Homer’s late pictures possess a fatalistic outlook so ferocious and truthful that no other American artist can be placed in his company. This is an essay that examines the savagery of pictures like The Gulf Stream and The Fox Hunt by setting them in late nineteenth century notions of nature as a machine, uncaring, blind, and godless. 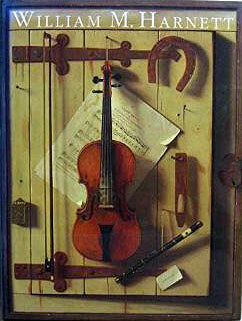 William Michael Harnett became the great American master of trompe-l'oeil still-life painting. His works, popular with the public long before they were appreciated by the art critics, "fool the eye" with their convincing, sharp-edged definition of form and careful rendering of materials. This volume provides the first thorough examination of Harnett's career and its significance for the history of American art. Accompanies the exhibition organized by The Metropolitan Museum of Art.